We at Interference Technology Magazine managed to produce 10 new EMC Mini Guides during 2017! 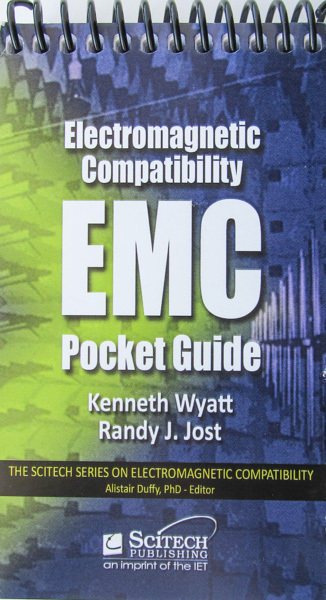 Feel free to download one, or more, of our FREE EMC Guides! Choose from Mil/Aero, EMC Fundamentals, Filters, Shielding, Pre-compliance Testing, and more! Scroll down near the bottom of our home page to see them all: http://www.interferencetechnology.com. I just recently authored the new EMC Desk Reference through Interference Technology Magazine. For the time being, take $10 off the cover price of $39.95! Cables or other metal (antenna-like) structures often couple to sources of common-mode currents and end up radiating, causing product failures during compliance testing. During the troubleshooting process, it would be helpful to determine the resonance of these cables or structures to confirm they are the source of certain harmonic signals. 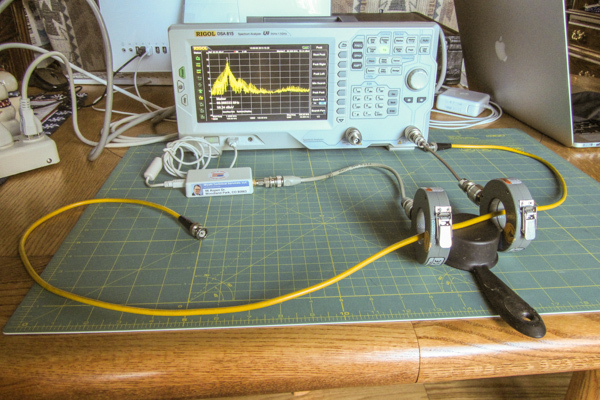 We could certainly measure the length of the cables or metal structures, but often, they are connected to other conductive assemblies, such as circuit boards or brackets. Because of these system inter-relationships, it’s not always easy to predict the resonances within a system, and so there’s always a little uncertainty as to where to start the troubleshooting process. These simple techniques may help quickly identify potential resonances within your system or product. 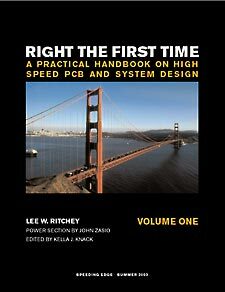 One of the most common questions I receive as an EMC consultant have to do with PC board design. And, no wonder. As clock and data frequencies increase towards 10 GHz, proper PC board design becomes an imperative for proper functioning of the system. The typical “rules of thumb” we used for low frequency boards no longer seem to apply.